TK Maxx has topped a list of the UK’s friendliest workplaces. Most employees can’t wait to get to the pub on a Friday. 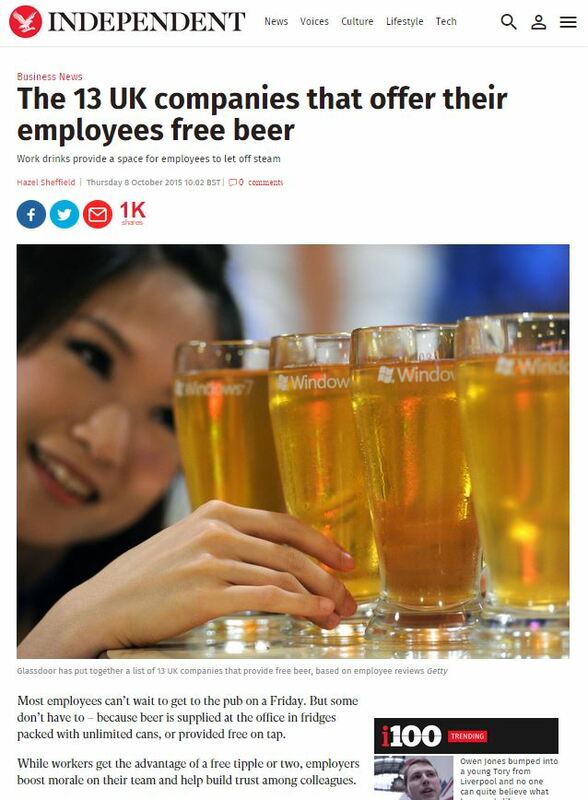 But some don’t have to – because beer is supplied at the office in fridges packed with unlimited cans, or provided free on tap. While workers get the advantage of a free tipple or two, employers boost morale on their team and help build trust among colleagues. 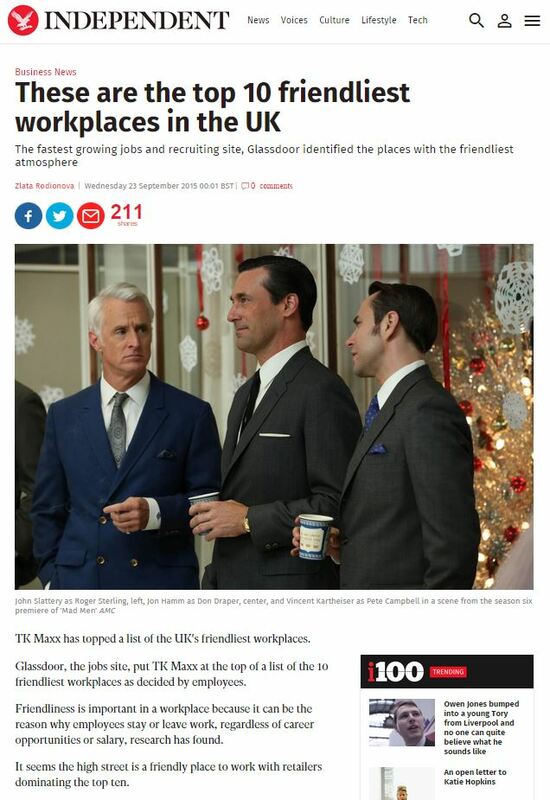 Glassdoor, the jobs site, put TK Maxx at the top of a list of the 10 friendliest workplaces as decided by employees. The good thing about a door made of glass is how easy it is to see that the grass is greener on the other side… and there’s a recruitment company publishing PR in national newspapers who profit from encouraging you to make that step with them. This entry was posted in Glassdoor and tagged Glassdoor, Hazel Sheffield, independent, Zlata Rodionova on October 23, 2015 by Michael Marshall.